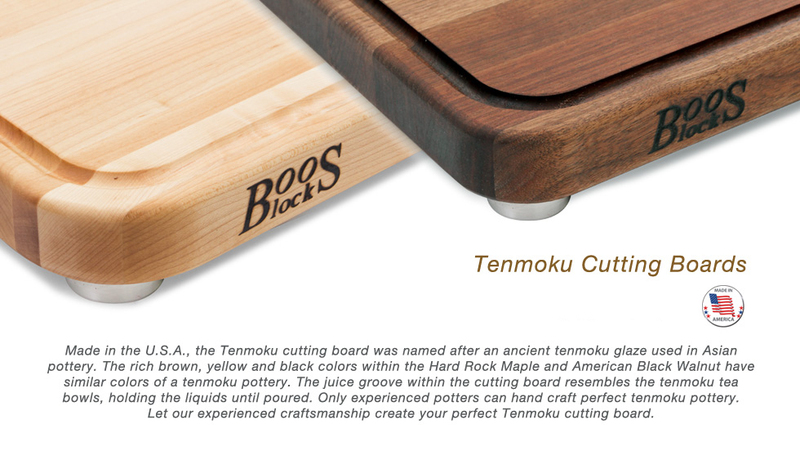 Made in the U.S.A., the Tenmoku cutting board was named after an ancient tenmoku glaze used in Asian pottery. The rich brown, yellow and black colors within the Hard Rock Maple and American Black Walnut have similar colors of a tenmoku pottery. The juice groove within the cutting board resembles the tenmoku tea bowls, holding the liquids until poured. Only experienced potters can hand craft perfect tenmoku pottery. 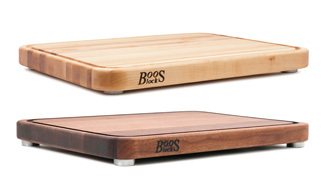 Let our experienced craftsmanship create your perfect Tenmoku cutting boards.